DNA Sequencing is a process that helps genetic scientists unearth the precise order of nucleotide bases contained within the DNA itself. It’s the pairing order of these nucleotide bases, namely adenine, thymine, cytosine and guanine, that acts as the blueprint for the coding of amino acids that are utilized when DNA work towards the production of essential proteins. DNA sequencing becomes very important, as every chemical action of the cell is dependent upon these proteins. Be it a matter of hair color, strength or resistance of the body against fighting diseases, or any other developmental issue, all actions are controlled by the availability and functionality of these proteins and DNA sequencing leads towards understanding the underlying structure of DNA that builds these proteins. DNA sequencing can be broken down into four stages. First, comes the fragment sequencing in which DNA molecules are broken down into smaller slices for which nucleotide base pair sequence can be worked out via analytic measures. Fragment sequencing also requires that copies of the DNA fragment itself are made available. Polymerase Chain Reaction is a technique that tackles both of these issues. The next stage in DNA sequencing is assembling the sequence. Making use of the latest and state of the art computing platforms and solutions, overlapping fragments of DNA, running in hundreds of nucleotide bases are compiled and assembled. Database processing involves the usage of specialized software and tools to search, match and compare sequences from databases to make use of the DNA pattern matching technology. 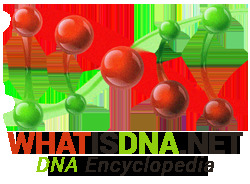 Many organizations keep large databases of known DNA sequences, some of which are even available globally over the Internet. Mostly these organizations focus their efforts towards the study of specific DNA areas. Their studies and the DNA sequences they discover can prove very beneficial for others concerning cross-validity and as a basis for starting research. Sharing DNA sequence databases in cases like these keeps the costs lower for many of the smaller organizations. Data obtained from DNA sequencing is of no use unless it can be related to germane properties and individual characteristics. This is where genotyping and linkage analysis gets into the picture as the last of the four stages. Overall, DNA sequencing is bringing many breakthrough advancements in the study of genetics. DNA sequences encompass massive quantity of data and complicated patterns but the capabilities that today’s computing networks and workstations are great too and well utilized by genetic scientists.